The early-Republican era (1923-1938) was a major period of musical and cultural change in Turkey. Alaturka: Style in Turkish Music is a study of the significance of style in Turkish music and, in particular, the polemical debate about an eastern style of Turkish music (called, alaturka) that developed during this rich and complicated era of Turkish history. Representing more than twenty years of research, the book explores the stylistic categories that show the intersection between music and culture; the different chapters treat musical materials, musical practices and musical contexts in turn. Informed by critical approaches to musical aesthetics in ethnomusicology as well as musicology and anthropology, the book focuses upon a native discourse about musical style, highlighting a contemporary apprehension about the appropriate constitution of a national identity. The argument over style discloses competing conceptions of Turkish space and time where definitions of the east and the west, and interpretations of the past and the present respectively were hotly contested. 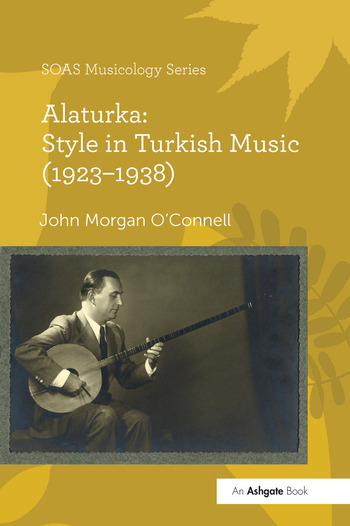 John Morgan O'Connell makes a significant contribution to the study of Turkish music in particular and Turkish history in general. Conceived as a historical ethnography, the book brings together archival sources and ethnographic materials to provide a critical revision of Turkish historiography, music providing a locus for interrogating singular representations of a national past. Contents: Preface; Prologue: style in Turkish music; Defining style; Debating style; A Turkish stylist; Presenting style; Representing style; Concert style; Social style; Epilogue: style in Turkish history; Appendices; Bibliography; Index. John Morgan O’Connell is director of the programme in Ethnomusicology at Cardiff University. His publications principally concern the musical traditions of the Islamic world, being especially interested in issues related to music and conflict, and music in application. He has also acted as a music consultant for a number of international organizations.